Here is a listing of some of our clients currently benefiting from Suggestar. East Side Mario's restaurants offer guests great Value, a Fun dining experience, high Quality pastas and pizzas plus a great selection of local favourites all in a relaxed, friendly atmosphere. Mom will decide to take the family to East Side Mario's for the Value. They will return for the Quality food and Fun. 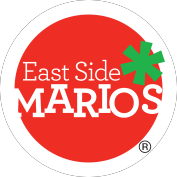 East Side Mario's will become Mom's favourite casual dining restaurant because she knows that the kids love it and she appreciates that the family can be themselves. East Side Marios has over 90 locations. Casey's Bar and GrillCasey's focuses on classic dishes in a casual, comfortable and relaxed surrounding. Casey's restaurants offer fresh, high quality, classic foods — including Casey's Classics such as AAA steak and AAA burgers combined with Casey's Twists — dishes inspired by international culinary trends and flavours. Casey's Bar and Grill currently has over 29 locations. Prime's Irish pubs offer a superior culinary programme, premium beer and spirit brands, authentic design and décor with the same 'craic' - the unique combination of great food, good cheer and fun times - as experienced in Ireland, and traditional Celtic and Canadian East Coast live entertainment. There are currently over 20 Prime Pubs across Canada. A refined Belgian-style brasserie positioned to the young urban professional with discerning taste, above average disposable income, and a desire for a premium beverage and food experience. Beginning with a selection of over 100 brands of beer from 24 countries, the European brasserie's culinary commitment is defined by season to ensure exceptional quality. Menu specialities include Belgian-style steak frites and mussels. Prime Restaurants Inc. ("Prime") franchises, owns and operates casual dining restaurant brands and premium Irish pubs in Canada. Prime has achieved significant growth in the past ten years, expanding the number of restaurants operated from 88 in 1997 to about 150 in early 2013.